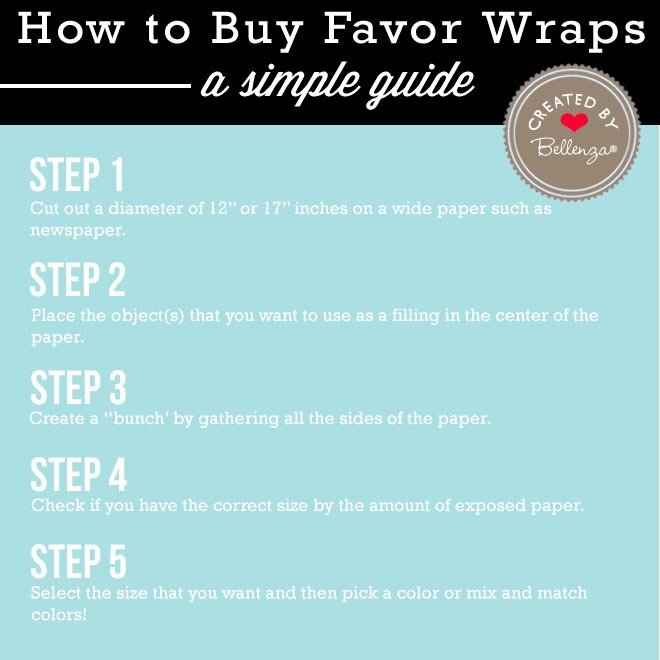 How to Buy Favor Wraps at Bellenza: Easy Tips! 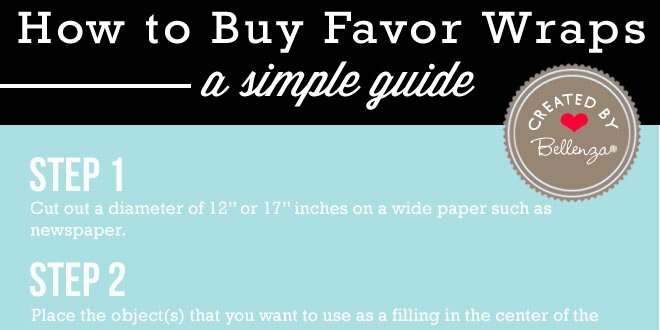 Cut out a diameter of 12” or 17” inches on a wide paper such as newspaper. Place the object(s) that you want to use as a filling in the center of the paper. Create a “bunch” by gathering all the sides of the paper. Check if you have the correct size by the amount of exposed paper. Select the size that you want and then pick a color or mix and match colors! 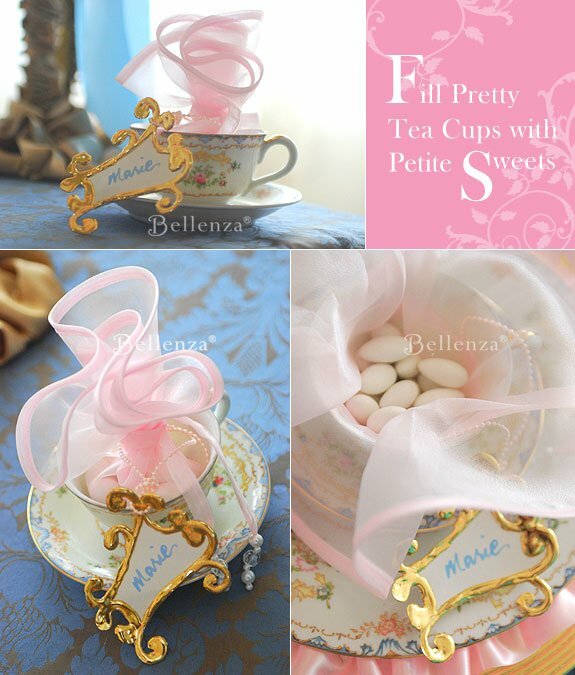 This is a great option when presenting mini espresso cups. 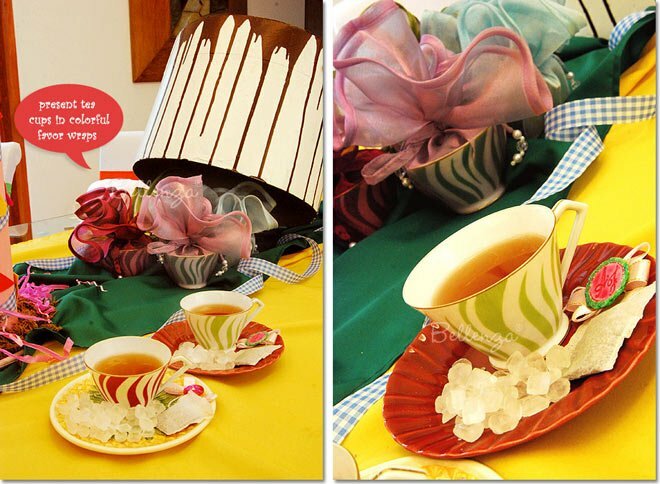 You can simply take our 17” wrap, place some treats into cup, and finish it off with a lovely favor tag. 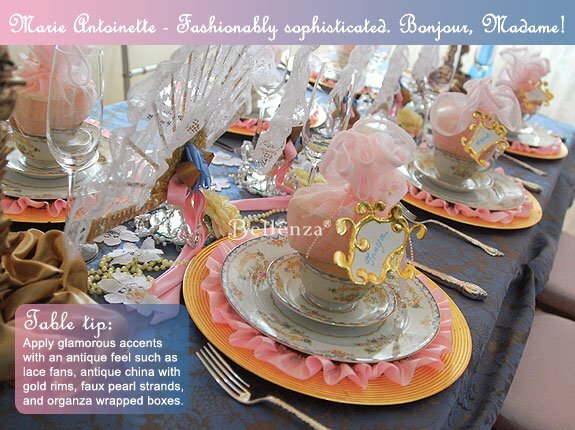 Our Marie Antoinette tea party includes fancy tea cups wrapped in beautiful pink fabric! We added gold everywhere to showcase a glam pink and gold setting. 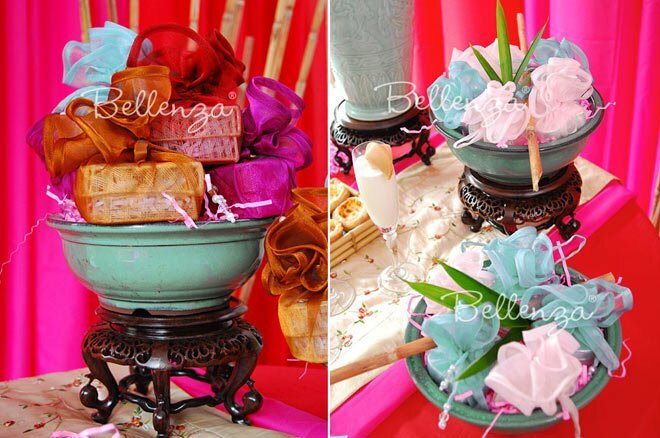 If you want to give candle as favors for a baby or bridal shower, take a simple pillar candle, include a pearl candle plate, wrap it in our 17” wrap, and attach a favor tag. 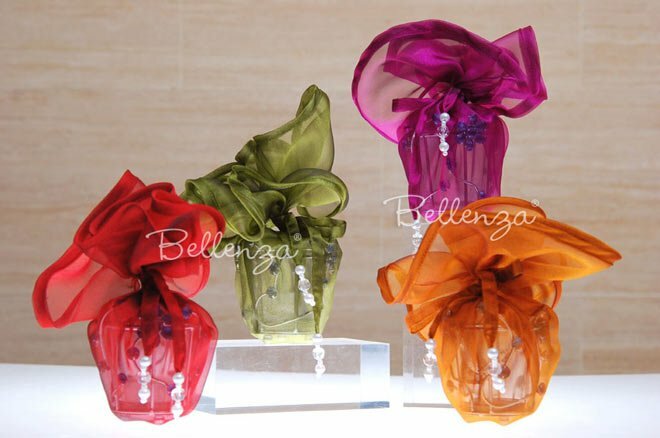 Alternatively, you can present our candle votive holders in these same wraps (see picture below). Yet another practical and convenient packaging option! Bake up simple vanilla butter cookies, blondies, or brownies. Place them in our heart shaped woven boxes in either pink or purple, but be sure to line it with wax paper. 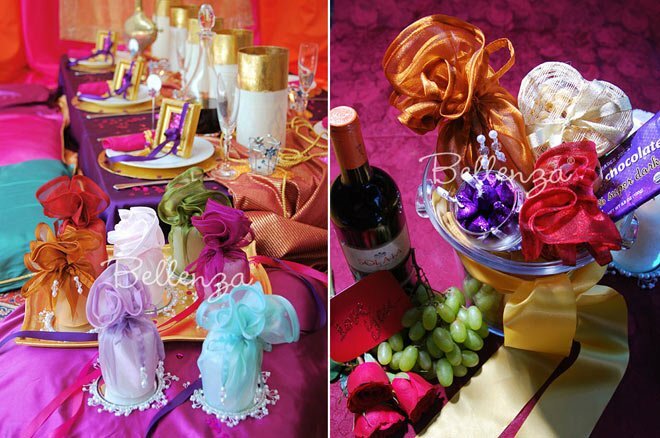 Then, wrap the boxes in pink, red, fuchsia, or lilac wraps for a colorful display. 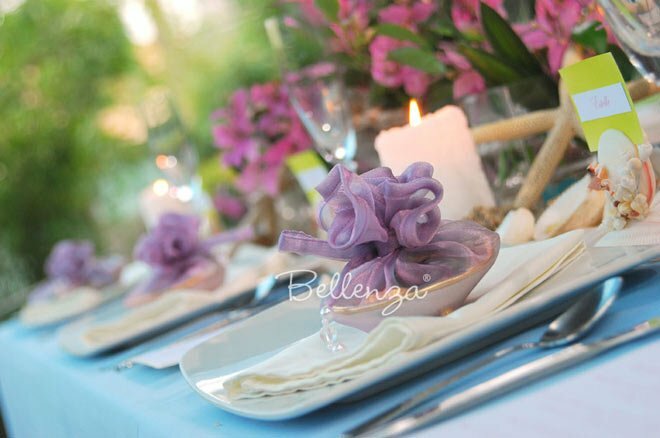 As a popular party theme, a beach or nautical event calls for something different like our seashell trinket dishes made of real shells. Spruce them up with a 17” lilac wrap—a bestseller!